Today Samsung has added a new feature to its rapidly growing mobile payments service. From this point on, Samsung Pay supports gift cards. To start off, those from 50 popular merchants can be added to your Samsung Pay wallet. You can in fact purchase, store, pay with, and share gift cards right from your Samsung phone, if it supports Samsung Pay of course. There's a new gift card store inside the Samsung Pay app, from where you can easily buy gift cards for you or someone else. These can easily be shared once you have them. 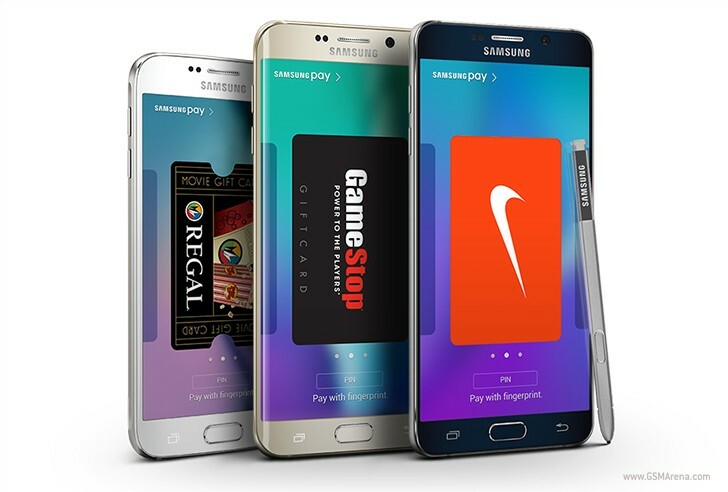 Here are the names of some of the retailers now having gift card support in Samsung Pay: Babies R Us and Toys R Us, Bass Pro Shops, Domino’s, eBay, GameStop, Nike, Regal Entertainment Group, and Staples. More gift card options are going to be added "in the coming months".